Posted on 10/08/2018 by Mickey McCarter	in Live Review and tagged DC9, Gruff Rhys, psychedelic, Super Furry Animals, Wales. 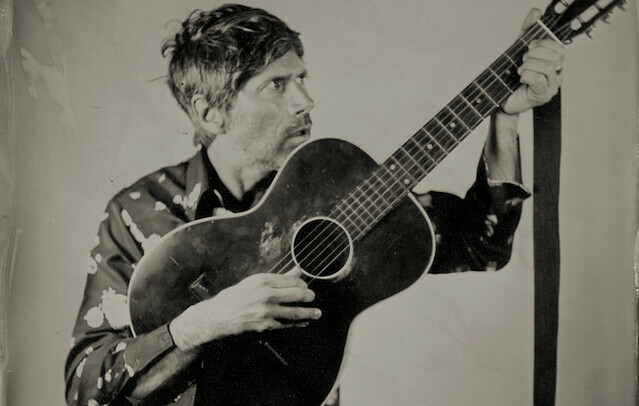 Gruff Rhys, best known as frontman for Super Furry Animals, released Babelsberg, a new solo album, via Rough Trade Records in June. The Welsh musician has embarked on a solo tour of the United States, and he visits DC9 on Thursday, Oct. 11. Recently Gruff released a video for “Selfies in the Sunset” from the new album, and he shared a story of the song’s inspiration. Babelsberg is a real place. It’s an hour to the south of Berlin, and it’s known for hosting the location where Stalin, Truman, and Churchill met at the end of World War II. Inspired by waning visions of destruction such as that caused by war, Gruff named his fifth solo album for the city. Over 10 tracks, Gruff ponders state-sponsored murder, the numbness of the 24-hour news cycle, and delusional male egos, among other topics.